I am always looking for ways to sneak veggies into my boys diets. The only veggie I can get my boys to eat is carrots. They just won't eat any other veggie. So when I saw this recipe for baked cauliflower cheese tots, I knew I just had to make them. My boys love tater tots that are made with potatoes so I needed to see if the cauliflower ones tasted just as good. A while back I had made a pizza from cauliflower that I thought tasted awesome, but since it did not have the same texture that pizza had my boys would not eat it. 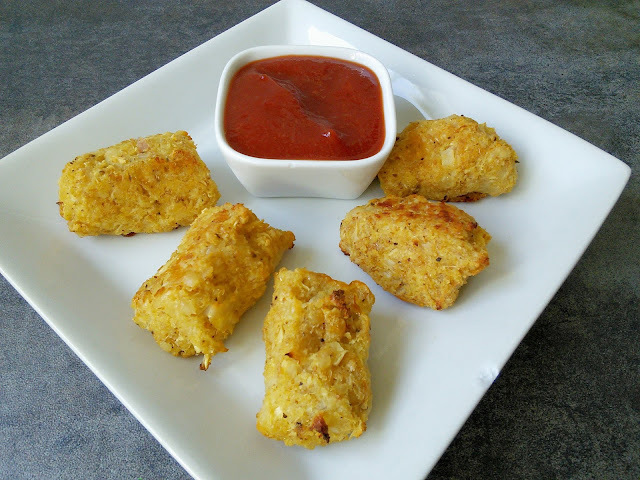 These cheesy tots have the same texture as regular tater tots but so much healthier with the cauliflower in it. I made mine with bread crumbs but if you want to make them gluten free then substitute almond meal/flour or ground up oatmeal for the bread crumbs. You can also make these tots in a mini muffin pan too. I choose to form mine so that they would resemble tater tots making them more appetizing to my boys. I love that these cheesy cauliflower tots are baked instead of fried as that makes them way lower in fat. When I bake I like to use silicone oven mitts to protect my hands and arms from burns. 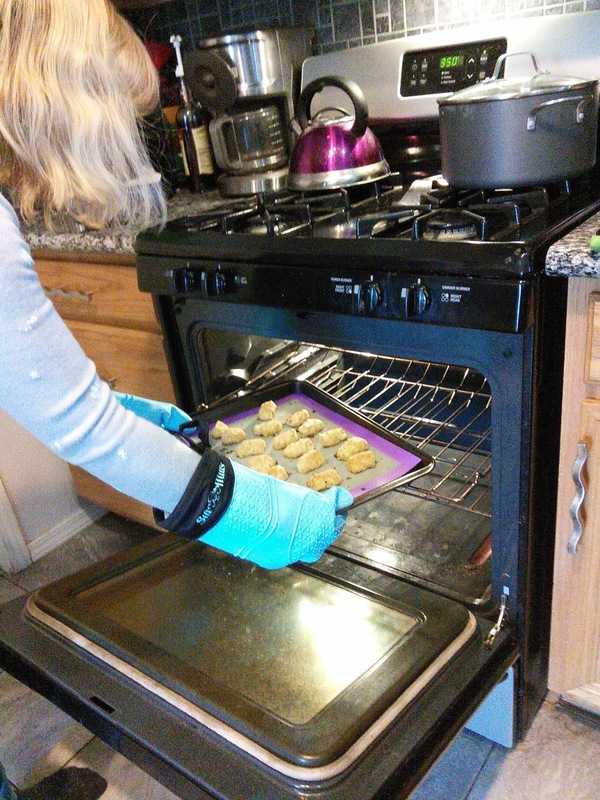 I find that silicone oven mitts over way better protection than cloth oven mitts and they are way easier to keep clean. Have you ever tried to wash a cloth oven mitt? I love my new silicone oven mitts as they have a comfortable quilted inner liner which makes using them so much better than my old pair that was just make from the silicone. The inside cloth liner helps me to grip my baking pans so much easier and provides an extra layer of protection from the heat. These cute blue gloves are longer too so it covers above my wrist. I always seem to burn my wrists when pulling my baking pans out of the oven. 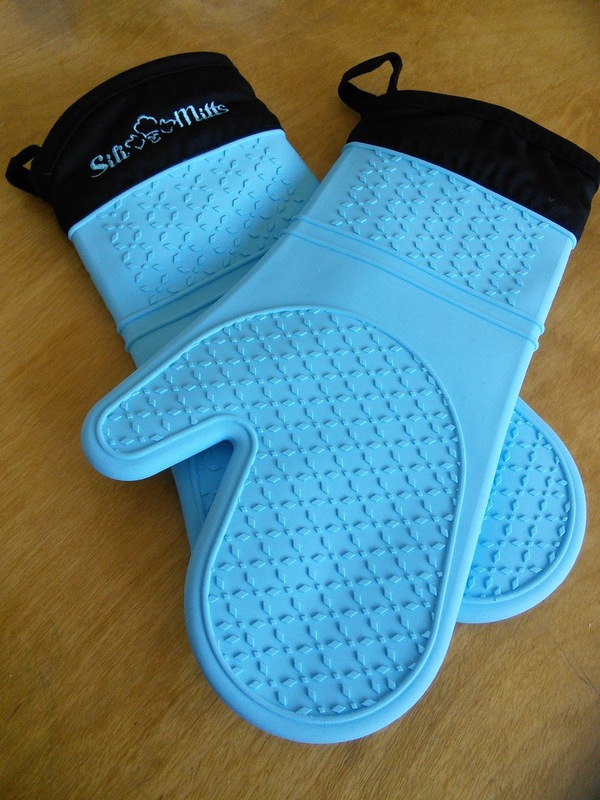 Did you know that silicone oven mitts are heat resistant up to 482 F and waterproof? My husband loves using these oven mitts when he grills food on the barbecue. You could even use these oven mitts to help you lift a cooked turkey. I just love using my silicone oven mitts for all my baking and they have a nice hanging hook on them. I hang my on the wall next to my oven so they are ready to use. Cleaning these mitts are so easy too, I just clean them in soapy water, rinse and hang them to dry. If the inside does get dirty or wet, they are easy to turn inside out to clean and dry. I just love the vintage box that these silicone oven mitts come in, making it a great housewarming or wedding gift. 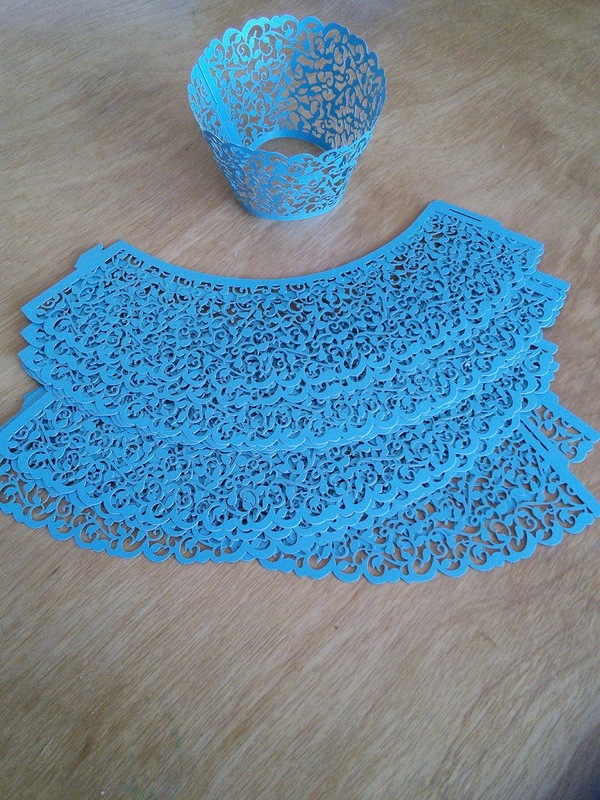 Life Quintessentials also included these cute cupcake wrappers in the box. These gloves come in many different colors too, including pink. 1. 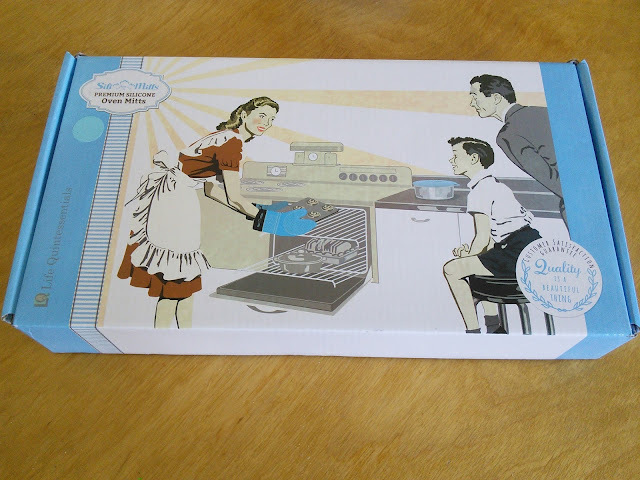 Line baking sheets with silicone baking mats or spray with cooking spray. 2. Place cauliflower pieces ina microwave safe dish with water, cover and cook for 5 minutes, until soft. 3. Thoroughly drain the water from the cooked cauliflower and place in a food processor. Blend until it resembles rice. 4. Place the mashed cauliflower in a large bowl and add the remaining ingredients. Stir well until it looks like mashed potatoes. 5. Take 1-2 tablespoons of the mixture and shape into a tater tot shape. You can also place mixture into a well greased mini muffin tin. 6. Place the tots on the baking sheet, spacing and inch apart, and bake for 20 minutes. Flip the tots over and bake for an additional 10-15 minutes or until crispy. Makes about 35 tots. Serve with ketchup or desired dipping sauce. 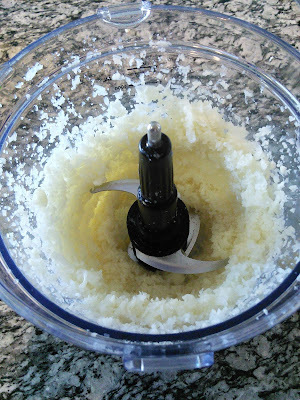 Notes: The mixture will be very wet when forming the tots. "These opinions are my own and a received a set of silicone baking mitts to facilitate this post." I've tried this before. I gotta say, it was interesting and unique. Looks so good.I got try them out. Those sound super tasty! I can't wait to make them. These look delicious, I love cauliflower and how easy they are to sneak into recipes. I need to make these tots for my kids, I don't think they'd know what it really was either. Now that is a handy way to give them veggies!I love cauliflower so this would be ideal for me! Oh yummy! I love cauliflower and can't wait to try this. AH! I feel like this is a sign that I should make these myself. I saw couple ideas for healthier hashbrowns made out of veg the other day but here great instructions so I can give it a try. 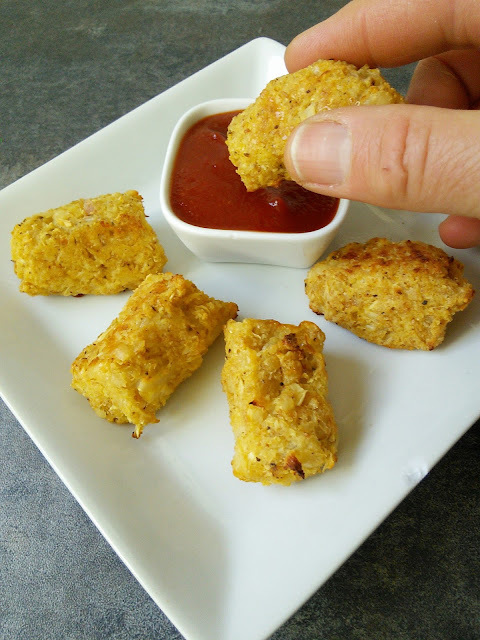 That looks so much like the original tots, it's really nice if you have a picky child who doesn't want to eat veggies! Awesome idea and recipe. Thanks a lot! Looks so delicious! I want to try it. My family will love it. Omg these look mouth watering delicious. These look delicious and what a great way to get those that don't like vegetables to eat a few. I know a kid that would love these!! Oh these look delicious! I am going to make some for this weekend. What a great way to eat a family favourite. Ohhh these looks so yummy I'm definitely going to have to make them soon! And those oven mitts look awesome, I need to replace my old ones! I love simple tasty recipes. Thank you for this! Another reason to eat cheese! I like cauliflower but my family is not a fan. I am almost certain I can trick -- um I mean convince -- them to eat these! I have been wanting to try these! You make it looks so easy. I really need to do it now.